16 mins How many drilling sites are left in the Permian? But at this year’s CERAWeek, there was no gloom and doom to be found. “I’m not losing any sleep over peak oil demand or stranded resources,” Saudi Aramco’s CEO Amin Nasser said. Others agreed. “The pace of decline is likely to be very slow,” BP’s Bob Dudley said. Even Shell’s Ben van Beurden appeared to push back his expectations for the peak – instead of the 2020s as he said last year, he said at this year’s conference the peak may not come until the 2030s or 2040s. BP’s chief economist perhaps put it most bluntly, arguing that in a scenario in which global governments begin banning the internal combustion engine, as some have in Europe, even in this dire scenario oil demand would be higher 20 years from now than it is today. It’s a remarkable conclusion. In other words, oil executives do not fear peak demand. 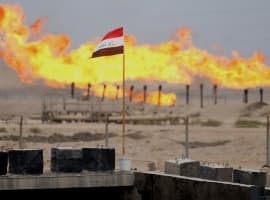 #2 Oil supply shortage is the real worry. Rather than peak demand, the real fear at this year’s conference was the possibility of a shortage of supply in the 2020s, with the IEA’s warning on the first day of the conference setting the tone. 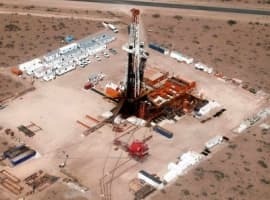 The Paris-based energy agency said that the sharp decline in upstream spending is “potentially storing up trouble for the future.” As the lack of new large-scale conventional projects starts to be felt in the early 2020s, it will occur just as U.S. shale is expected to plateau. Surging demand could leave the market short on supply. Aramco’s Nasser said the oil and gas industry would need $20 trillion in investment over the next 25 years just to keep up with demand. A back-of-the-envelope calculation suggests that would translate into something like $800 billion annually, a striking figure since actual capex has been running at around $500 billion for three years since the collapse of oil prices in 2014. In other words, the industry isn’t spending enough, and the market could face a supply crunch in the 2020s. The IEA has been issuing this warning for several years, but now many more people from within the industry are starting to wake up to this threat. #3 Climate change starting to become a worry for oil industry. 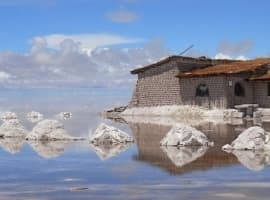 Climate change is a tricky topic for the oil industry, as adhering to the stated climate targets is directly at odds with a business-as-usual approach in the oil industry. That’s why climate change tends not to be talked about at conferences like these. However, the topic came up much more than might be expected at this year’s conference. But, instead of addressing the threat head on, oil executives tended to highlight how they might pivot in a world of tightening climate policy. BP’s Bob Dudley said the oil industry “can and must be part of the solution,” by cutting emissions even as they produce the energy that the world needs. Dudley pointed to BP’s new investments in wind, solar and biofuels. The chief executive of French oil giant Total SA noted the company’s shift towards natural gas as a way to mitigate future risk. “Maybe we will become, I am sure, a gas-and-oil company,” instead of an oil-and-gas company, Total SA’s CEO Patrick Pouyanné said. Shell made similar remarks, noting that it plans on tripling its gas production by 2050 in order to meet its self-imposed goal of halving carbon emissions. Saudi Aramco’s chief technology officer pointed to some “no regret” investments, meaning investing in assets that could still pay off if carbon restrictions materialize. For instance, Aramco is making massive investments in petrochemicals, because demand for plastics could surge even if oil consumption in transportation falls. The bottom line is that while few want to reckon with a full-scale assault on oil and gas production from potential climate policy, many in the industry are hedging their bets with investments in renewables, natural gas and value-added petrochemicals. As Liam Denning of Bloomberg Gadfly noted, the seats were all taken at the technology sessions, an indication that automation, artificial intelligence, 3D printing, Big Data, robotics and the like are all the rage at this year’s CERAWeek conference. “Last year, getting a seat at them was easy. This time, it often paid to get there early just to nab a standing spot,” Denning wrote. By all accounts, oil and gas is way behind the curve when it comes to digitalization, lagging behind many other industries. That means there is a ton of potential. The IEA said last year that the industry could save roughly 10% to 20% on oil production costs by adopting a suite of data analytics and digitalization technologies. The tech shift could also expand the total volume of technically recoverable oil and gas reserves by 5% globally, a major figure. That remains to be seen. As Bloomberg Gadfly pointed out, BP’s chief digital officer told the conference that 80% of the people coming to her were simply repackaging existing computing services and selling them as some new form of advanced digitalization technology – a sure sign of a marketing bubble. Nevertheless, the heightened interest in energy technology and information software is a clear sign of which way the industry is heading. The most disagreement centered on the trajectory of shale growth. The IEA said that U.S. shale would essentially offset most of the world’s entire oil demand growth for the next several years. After adding in other production increases from Brazil and Canada, OPEC has little room to increase output through 2020. OPEC was not pleased. “We need to begin to look at companies that are very active in these areas and begin to get them to take some responsibilities in terms of stability of oil prices,” Nigeria’s oil minister Emmanuel Ibe Kachikwu said, essentially arguing that shale drillers are free-riders on OPEC’s production cuts. But not everyone is so bullish on U.S. shale. John Hess of Hess Corp. (NYSE: HES) warned that shale was overhyped. “There is a worldwide obsession with shale. It’s irrational exuberance in the US, and it’s irrational fear in the rest of the world,” he said. Mark Papa, former CEO of EOG Resources (NYSE: EOG) said that the best shale spots are drilled out in the Bakken and Eagle Ford, and that, combined with bottlenecks in the supply chain, will prevent the U.S. from meeting the insanely high supply growth forecasts. "If shale does disappoint over the next three or four years, there's not a lot of safety valves," he said, alluding the lack of upstream spending elsewhere. A lot is riding on whether the shale bulls or bears are closer to the mark. In the U.S., we might fuss about whether a company is "oil-gas," or "gas-oil." In Europe, Eni for example, characterizes itself as an Energy Company. Large U.S. petroleum companies will all become energy companies, in the broad sense. That should be happening faster than it is. European companies are ahead on the big picture and the future of energy.